Float, slither, crawl, or RUN! 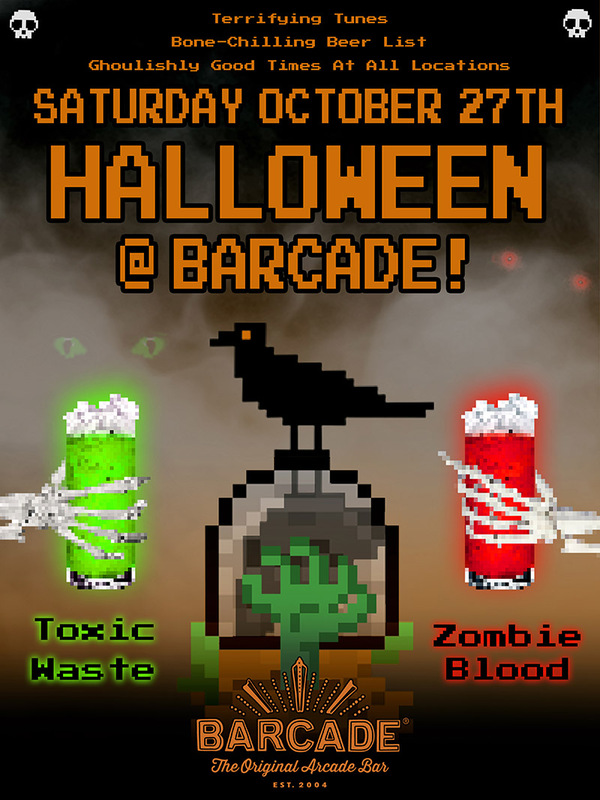 over to Barcade on Saturday, October 27th for our Halloween party! On tap will be bone-chilling beers and mysterious mixed drinks. We’ll be playing terrifying tunes to ensure that you have a ghoulishly good time! New Holland “Banana Coconut” Dragon’s Milk Reserve – 11.0% – Imperial stout aged on bananas, plantains, and coconuts. Rogue Dead N’ Dead – 8.2% – Rogue Dead Guy Ale aged in Rogue Dead Guy Whiskey barrels.